Charlie Cantlin worked for Mercedes-Benz as a Master level technician for twenty years before starting his own company in 2006. 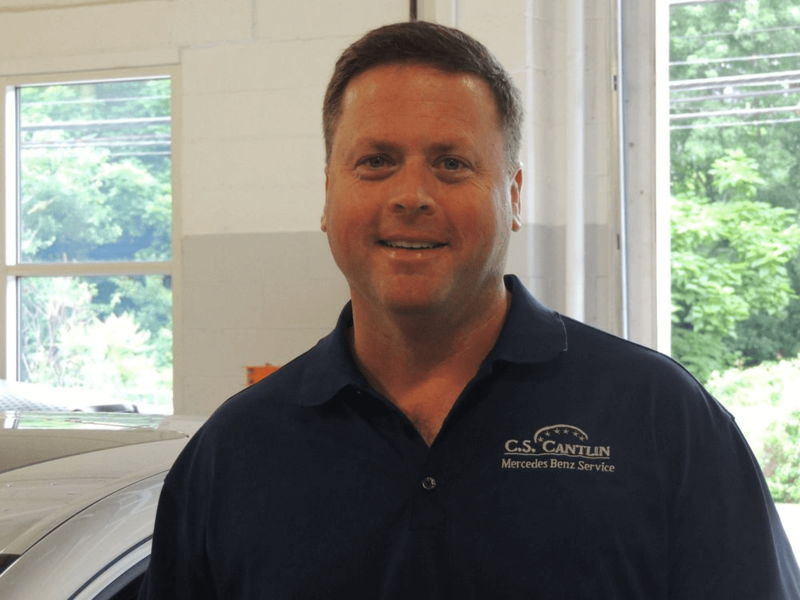 What sets Charlie apart from others in the industry is his unparalleled expertise and knowledge of Mercedes-Benz vehicles from vintage to current models. Charlie also makes accommodating his customers a top priority. He does this in a number of ways including: complimentary concierge services, detailed evaluations of vehicles, explanation of services, and ability to get customers (and their cars) back on the road when in an emergency. Choose to work with Charlie and his staff and you won't be disappointed. Under Charlie's leadership and over 25 years experience working on Mercedes Benz and other Luxury Automobiles our success has been achieved through teamwork, a staff of dedicated professionals, superb workmanship, and respect for our clients. We seek to build long lasting relationships with our clients one interaction at a time based on honesty, integrity and excellent communications. By utilizing C.S. Cantlin Automotive, you can be assured that all work is performed to standards that keep your vehicle in warranty compliance. Try us and you will soon learn why we are known for providing a service, unlike any other.